presented for the first time. 24th of October at 20:00 : Luc Ferrari face à sa tautologie (Luc Ferrari in the face of his tautology) by Guy Marc Hinant and Dominique Lohlé, 2007, 52′. In the presence of Brunhild Ferrari and some authors. On October 28th, from 16:00: Les Grandes Répétitions (1965-1966). 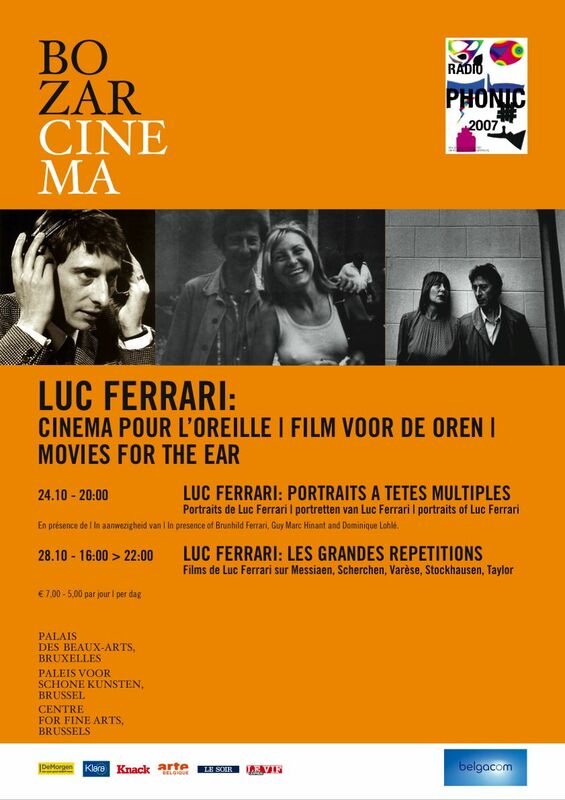 Projection of five mythical films directed by Luc Ferrari and Gérard Patris on Cecil Taylor, Olivier Messiaen, Edgar Varèse, Karlheinz Stockhausen et Hermann Scherchen.